Hesse is a “middle-German” state famous for its capital, Wiesbaden, the 14th largest airport in the world, FRA, and the adjacent banking city Frankfurt am Main. Unfortunately it took some big hits during the war and though there are still a few cobble-stoned towns left, the main part of history that’s on display here is post war architectural atrocities. But fear not, Hessenpark exists to not only bring history back to life but bring you and your family a fun day out. 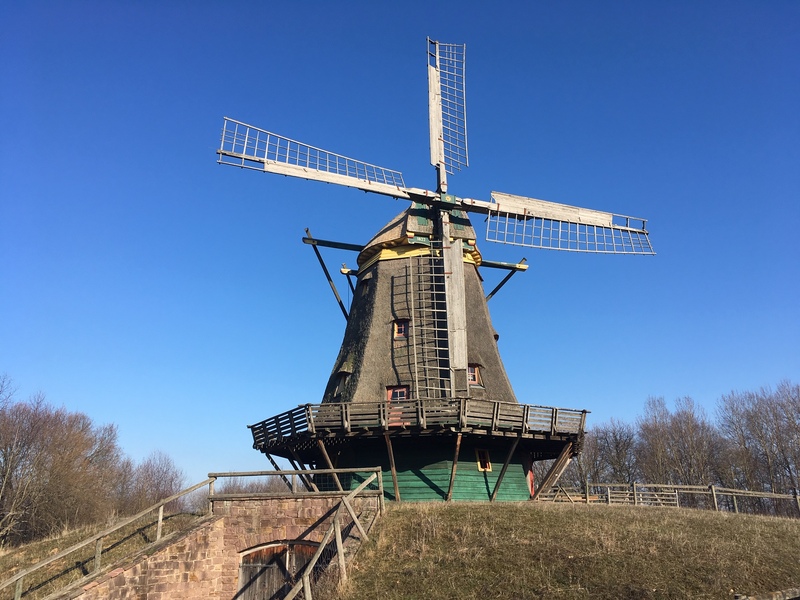 Highlights include live animals, actors in period clothing, 104 cozy timber-framed buildings, lakes, a windmill, countless exhibitions and, of course, on-site restaurants. The park is separated into geographical 7 parts that could be viewed as tiny villages with no more than a few houses and often a church each. 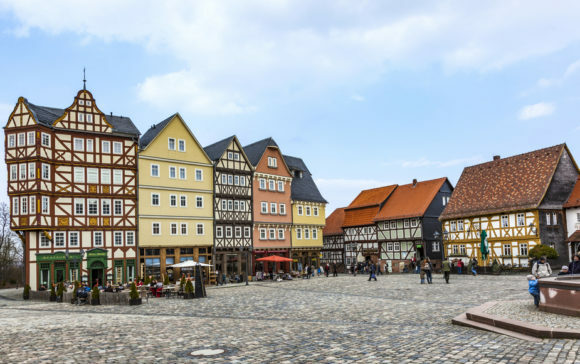 The market square alone, which can be seen on the cover photo, houses a pharmacy, a shop, two traditional pubs, a restaurant, a bakery and much more. 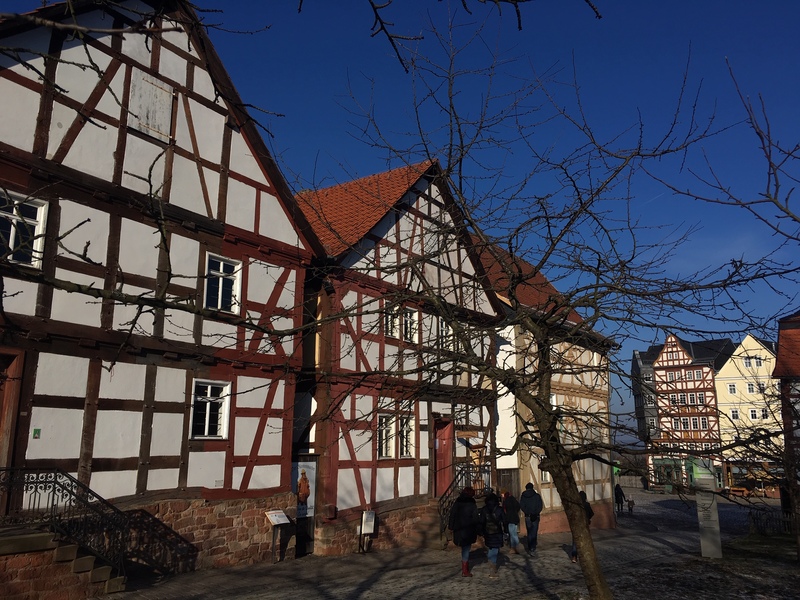 A round trip will take you from the north of Hessen to the very south and everything in between before you get back to the market square for a hearty meal and a Frankfurt Apple Wine (like cider), beer or a glass of regional wine. A constantly changing selection of live demonstrations teaches visitors about life on the countryside. The houses and buildings are not only pretty to look at but almost all of them contain little exhibitions on different topics. 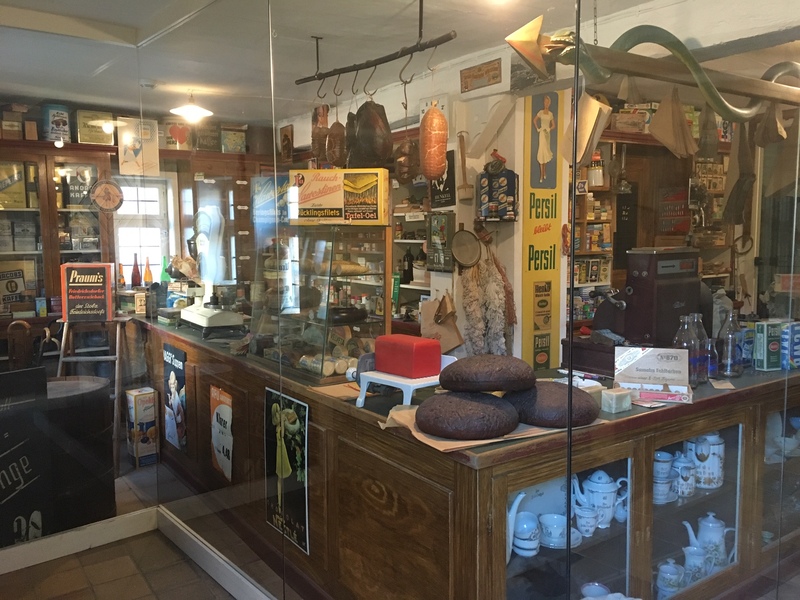 From the making of clothes to agricultural challenges, family life, religion, a blacksmith shop, a grocer and so much more. Not only history is alive at Hessenpark. (Didn’t think I’d make another living history pun, huh?) A number of animals such as geese, chickens, goats, cattle and pigs await in species-appropriate enclosures. 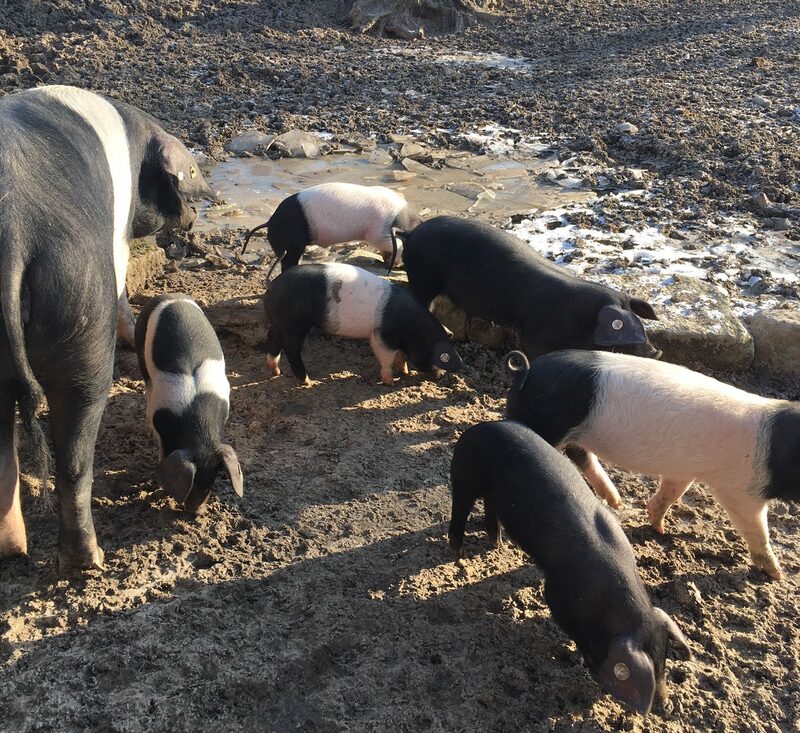 My favorite were definitely the baby piglets that were frolicking through the mud despite the cold temperatures. Admission costs €9 per adult and only €1 per child or student. Children under 5 get in for free. Dogs are allowed in and cost €1 each. They are not allowed to go into the buildings. Between November 1 and February 28, the park is only open on weekends and holidays from 10 a.m. to 5 p.m. 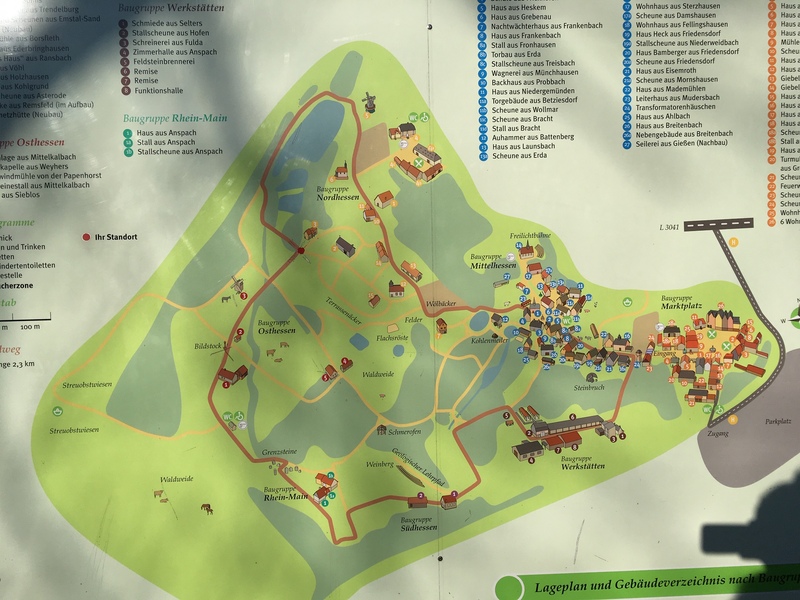 Between March 1 and October 31, the park is open daily from 9 a.m. to 6 p.m.
the map makes it look a bit bigger than it feels. The red round trip route is certainly doable if you calculated half a day at the park including going inside the buildings and enjoying an extended lunch break. Public transport: a bus takes you straight to the park. By car: free parking is available on site. There are plenty of signs on the A5 and beyond to guide you there. It’s a circa 1.5-hour drive from the KMC, 45 minutes from Wiesbaden and under 2.5 hours from Stuttgart.